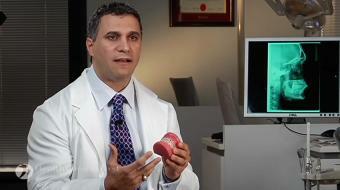 Dr. Sam Daher, DDS, M.SC., FRCD(C), discusses options for braces. 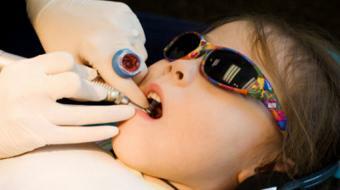 Children Orthodontics Dr. Sam Daher, DDS, M.SC., FRCD(C), discusses options for braces. 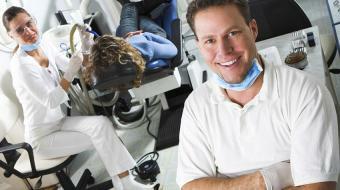 Braces are an orthodontic appliance that we use to straighten crooked teeth. Everybody's familiar with the traditional metal braces, they're cemented on the outside of the teeth with a stainless steel wire going through or a nickel titanium. Because of esthetic demands, a newer type of brackets were developed about 20 or 30 years ago, they're called porcelain braces. They serve the same purpose and they look the same, they're just kind of porcelain to improve esthetics. And lastly, we have lingual braces, which are cemented on the inside of the teeth, and again they serve the same purpose. The only advantage is that they are well hidden, making them probably the most cosmetic. 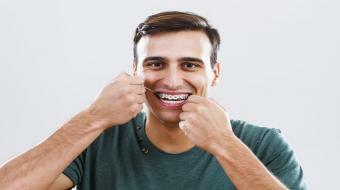 Having braces cemented onto your teeth increase chance of food retention, which in turn increases chance of decay, so you better take care of your teeth, brush them properly, take care of them and they'll take care of you.